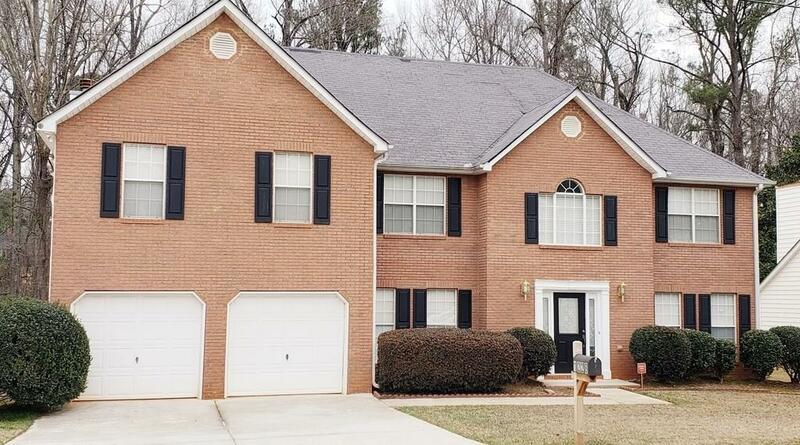 Brick front home in quiet housing community nestled approx. 30 minutes from Downtown Atlanta. Home boasts lots of interior space. Beautiful Foyer as you enter. This traditionally structured dwelling has sitting area, dining area, and living room with fireplace. Bedroom and Bathroom located on main level. Upstairs has an enormously sized master bedroom that includes a bonus room that could become office, baby nursery, or sitting room. Large deck in backyard. Home is great as it is, or add some upgrades for your personal touch.